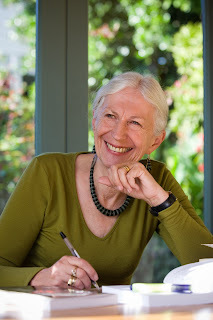 Dame Anne Salmond is a Distinguished Professor at the University of Auckland and is one of New Zealand’s most prominent anthropologists and historians. Salmond is the author of several culturally significant books, including Two Worlds: First Meetings between Maori and Europeans, 1642–1772, Between Worlds: Early Exchanges between Maori and Europeans, 1773–1815, The Trial of the Cannibal Dog: Captain Cook in the South Seas, Aphrodite’s Island: The European Discovery of Tahiti, and her most recent 2011 publication, Bligh: William Bligh in the South Seas. Salmond is also a committed environmentalist and has been involved in establishing the Longbush Ecological Trust, for the restoration of The Waikereru Ecosanctuary in Gisborne. The royalties for the New Zealand printing of Bligh: William Bligh in the South Seas have been donated to this charity. She received the CBE for services to literature and the Maori people in 1988 and was made Dame Commander of the British Empire for services to New Zealand history in 1995. In 2009, she was elected as a foreign associate of the National Academy of Sciences (USA) for her excellence in scientific research. Salmond was recently honoured as the 2013 Kiwibank New Zealander of the Year.